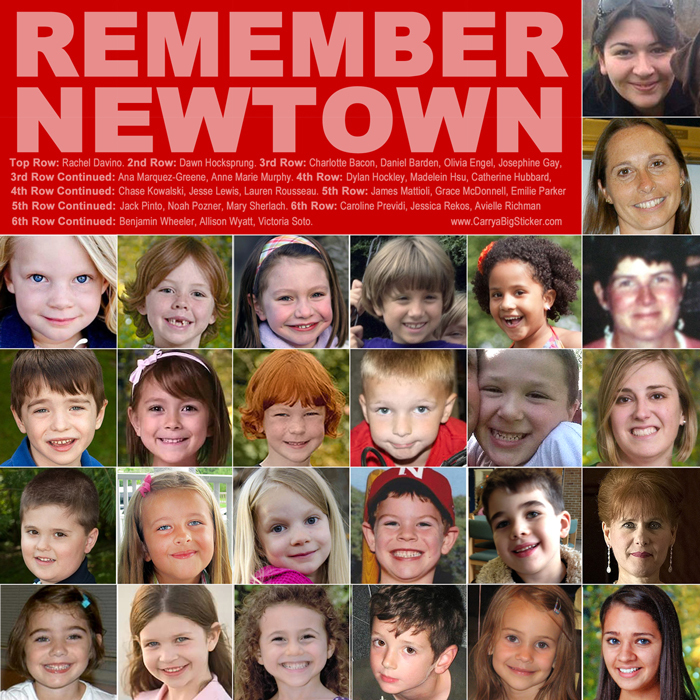 December 14th is the first anniversary of the Newtown mass murder perpetrated by a crazy person. 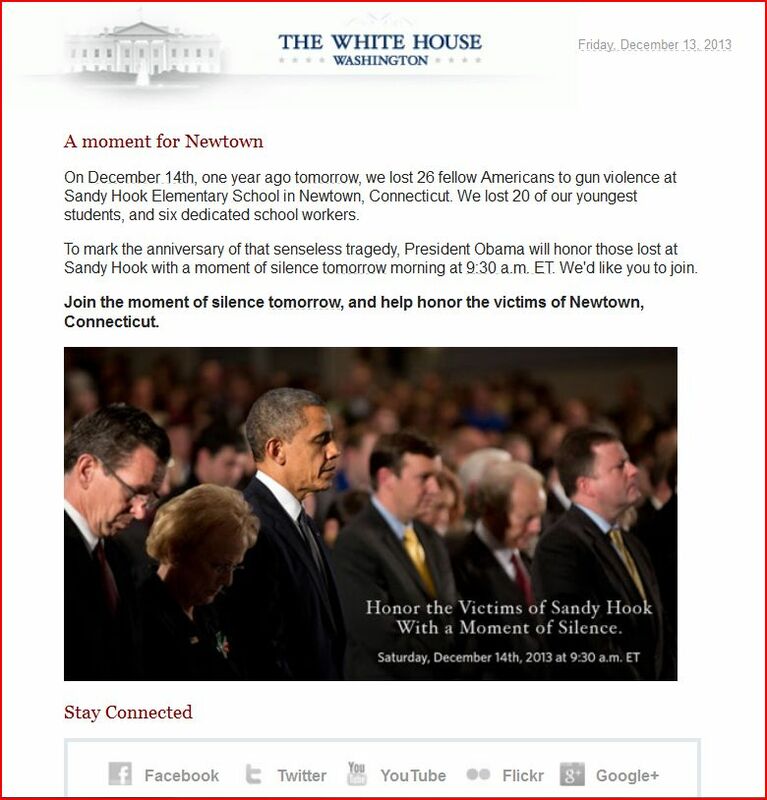 This is the email the White House sent to honor the loss of twenty six innocent people. Please scroll to the bottom of this post to see a more appropriate photo. This entry was posted in 2nd Amendment, Constitution, Major News Items, Media and tagged Narcissism, Newtown, Newtown Massacre, Newtown shooting, Sandy Hook. Bookmark the permalink.